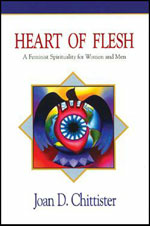 In ten dynamic 45-minute conferences, Joan Chittister presents the challenge of feminist spirituality. Conferences are from a retreat given to the Benedictine Sisters of Erie. A Study Guide is included. Also available as a single-presentation audio tape. Click below.